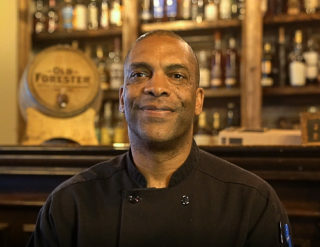 With over 30 years’ experience, Beer Baron’s Executive Chef Kelvin Ott is no newbie in the kitchen. As a graduate of California Culinary Academy, he has put his degree to work at such places as The Stinking Rose, Scala’s Bistro, Oola’s, Carnelian Room, and many others. After recent stints at SP2 Communal Bar in San Jose & as a catering chef in the North Bay, Ott decided to join the Beer Baron team and bring his expertise to their kitchen.